The mountains of Israel comprise the heart of the Land promised by God to the children of Israel. They are Judea and Samaria, originally the inheritance of the tribes of Judah, Benjamin and Joseph. 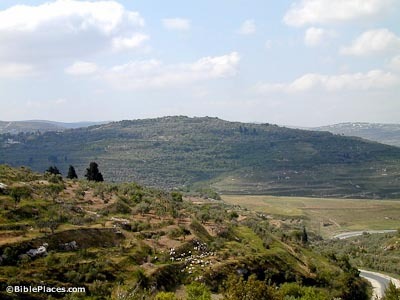 Bethel, Ai, Shilo, and Shechem -made famous by Abraham, Jacob and Joshua – are located in the mountains of Israel. Joshua and the bones of Joseph (Joshua 24:30, 32) were buried in this area. Jerusalem – where the Holy Temple stood, where David and Solomon ruled, and where Jesus died and rose again. 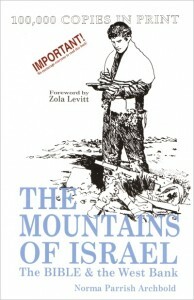 The Mountains of Israel is a short, easy to read in one sitting book, just slightly over 100 pages. However, the importance of understanding what Norma Archbold shares is paramount. 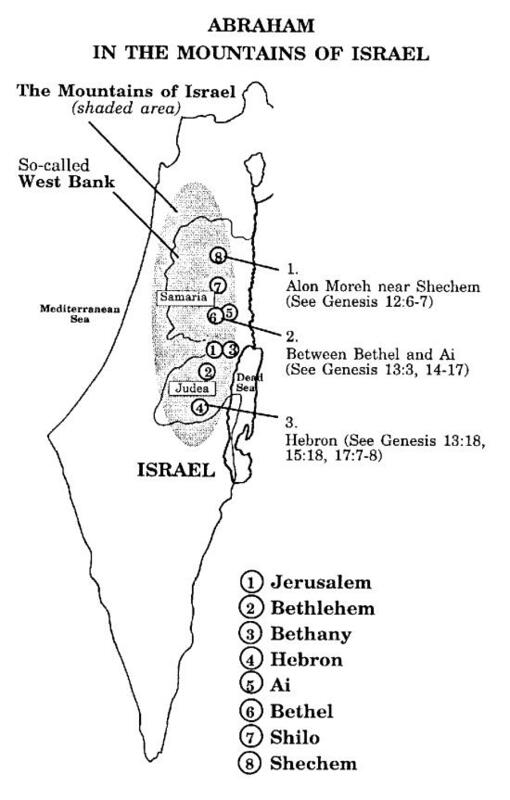 What is the West Bank? Why doesn’t Israel simply give it to the ‘Palestinians’ if it would mean peace? Whose land is it anyway? Is opposing Jewish resettlement of the Holy Land opposing the will of G-d? But you, O mountains of Israel, you shall shoot forth your branches and yield your fruit to My people Israel; for they are about to come. For indeed I am for you, and I will turn to you, and you shall be tilled and sown. I will multiply upon you man and beast; and they shall increase and bear young; I will make you inhabited as in former times, and do better for you than at your beginnings. Hi Cindy Lou, Looks like the information I just started looking for yesterday so have ordered the book. Thank you , Ken. Wonderful! Blessings to you Ken and if you run across any other good reads on this I would sure appreciate you sharing them. Folks, the battle for sovereignty over this heartland of Israel is truly fierce and epic, and a significant part of the enemy’s strategy and end goal to take over all of Israel. For a gripping, audaciously funny and seriously heartwrenching book that addresses the modern-day issues concerning Israel, try to find a copy of Tuvia Tennenbom’s new book: Catch the Jew! This is a wonderful book. It was given to me by Grant Livingstone who had spent many years in Israel and met Ms. Archbold. Grant and his wife lived with us when they returned from Israel and they really worked hard on getting this book published in Canada and distributed but some ridiculous thing happened with Western Union and I heard of no further progress on the endevour. I have read the book and recommend it to every Christian. I think churches should actually use it as a teaching tool- particularly for young people. Shalom Anna, what an interesting connection you have with this book and the Livingstones. I agree it would be a wonderful teaching tool in churches…and everywhere, ideally, including students at the Anti-Semitic prone universities. Having just returned from 10 days in the HOLY LAND including quite a lot of the area around Tiberias and the sea of Galilee, a friend gave me the book which we have now read and have ordered the 3rd one on Amazon as they keep coming on google to give to other parishioners at church as yoy say it is a book ALL should read, Pat and David ENGLAND. Pat, oh what a blessing to have been in the Holy Land! It is so wonderful to read that you are sharing this book – such an important read.